Protection cover for octagonal Waouuh 460 trampoline. When you install a cover on your trampoline, you ensure that it is protected from any possible damage from being left outdoors all year round. 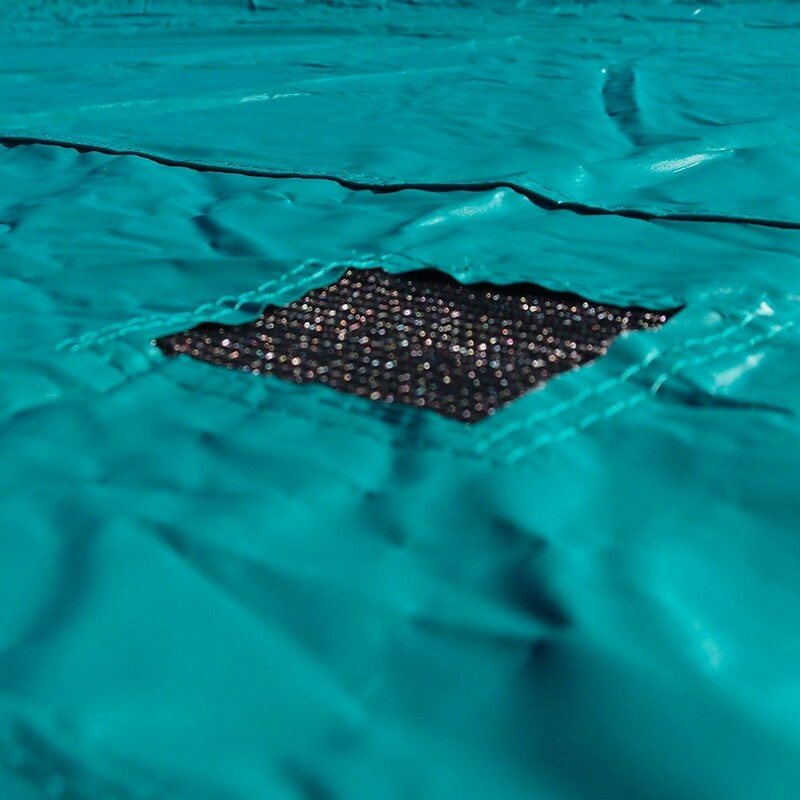 This cover will protect your trampoline during the rainy seasons and keep your jumping mat clean and protected from dew, pollen and dead leaves. 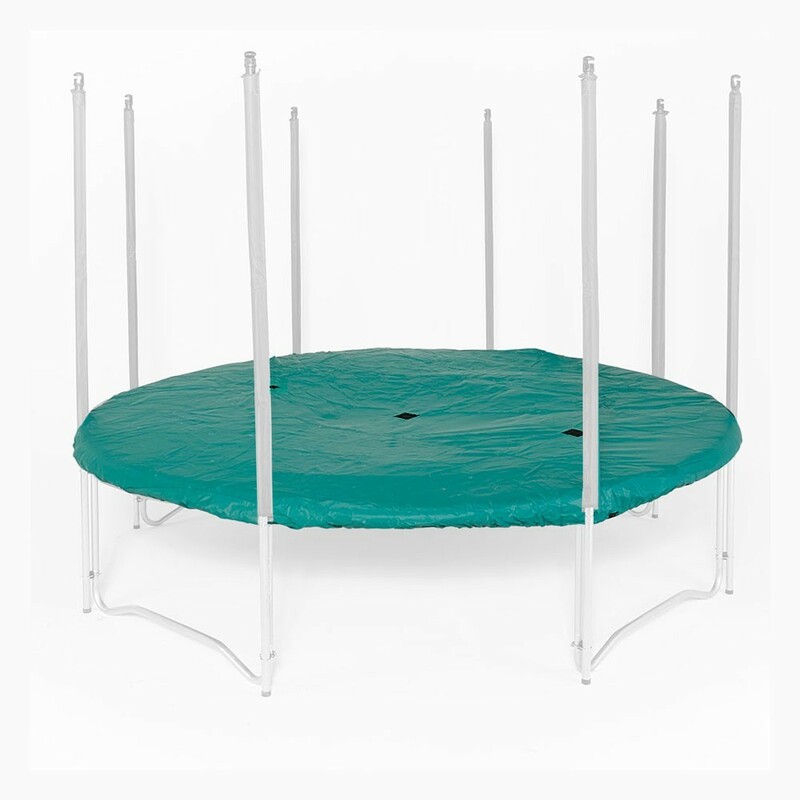 - The cover is perfectly adapted to the Waouuh 460 trampoline. - The cover is made of a solid and resistant PVC coated high-tech fabric. 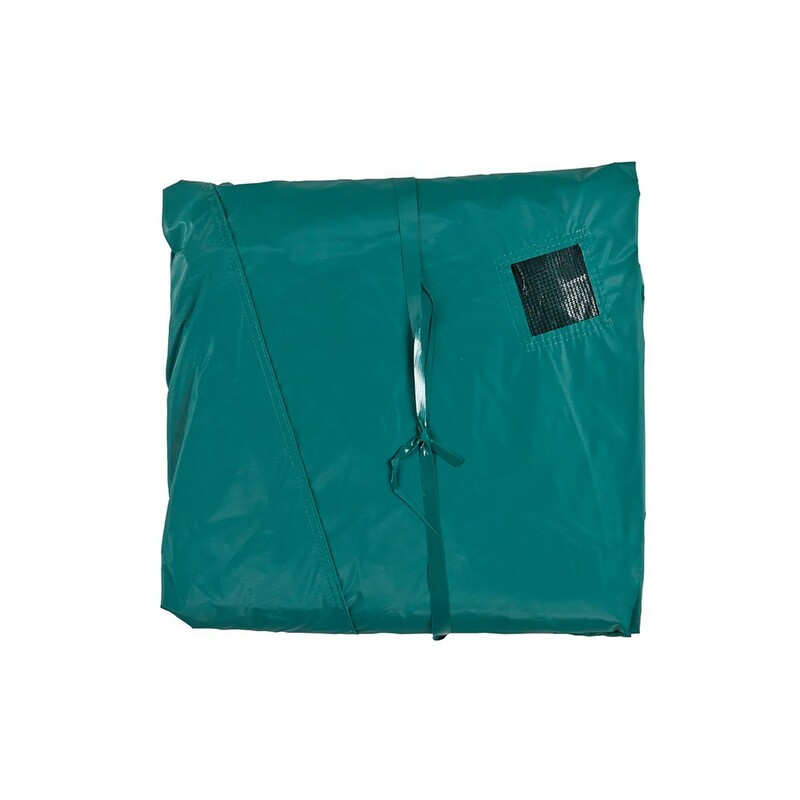 This cover, which has the same density as lorry tarpaulins, will protect your jumping mat and frame pad from temperature variations. 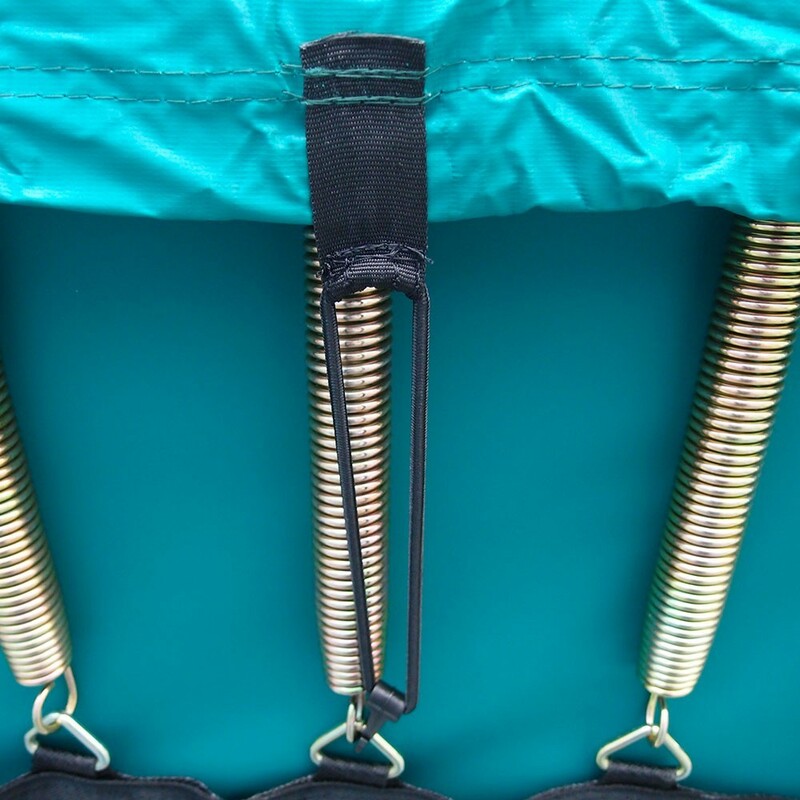 - The cover is attached under the frame pad using an elastic strap as well as several hooks which ensure that the trampoline remains perfectly covered at all times. 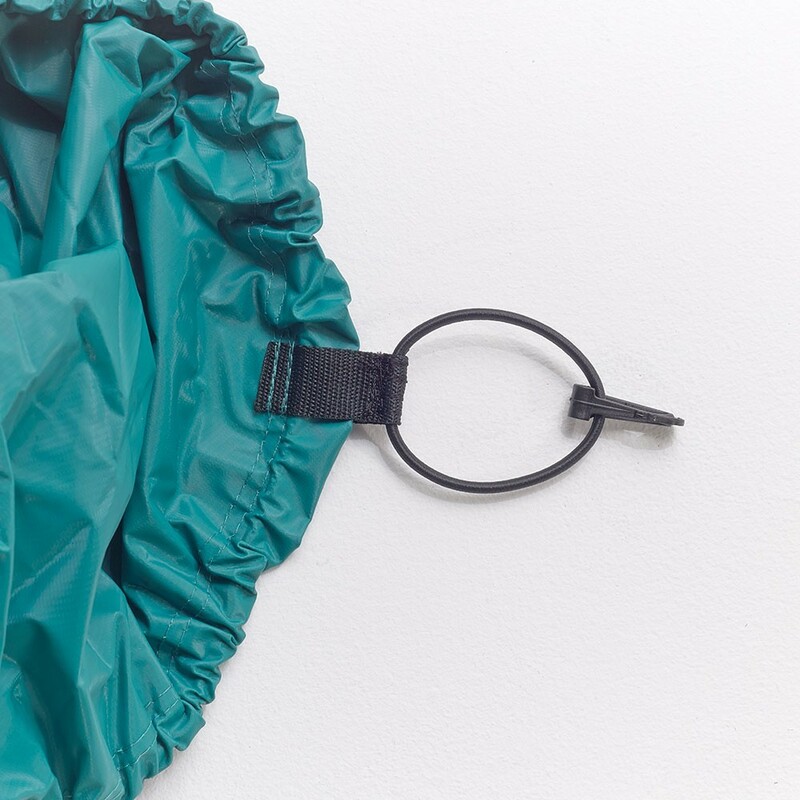 - The protective cover has several water evacuation holes to avoid water accumulating on top of the cover. A large volume of water would stretch and damage the springs. Using the cover will durably guarantee that the dynamic mechanisms of your trampoline are protected and that you will be able to use it without risk. - The cover is green which will blend perfectly with the surroundings of your garden. 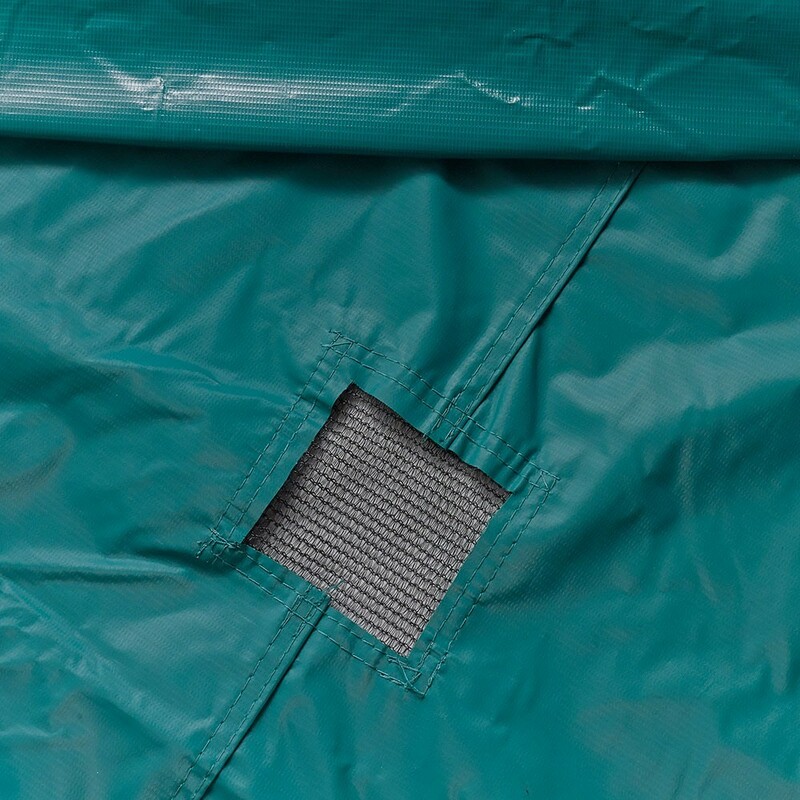 Not only is this a winter cover to protect your trampoline from the cold and humidity but this octagonal cover is just as useful during the other months of the year. Thanks to a UV protective coating, it is perfectly heat resistant and will protect your trampoline durably and keep it clean. It is quick and easy to put the cover on. Whether you use it for a weeks holiday or for a longer period of time, all you need to do is use this cover and you will always find your trampoline as you left it. housse bien .rien a dire.